Pretend you are the golden child. Reach out your hand for the goblet; taste the love and pleasure that the chosen ones drink; lean back in your chair of velvet; dance to the harp of all the songs they wrote for you; and rest your head on the soft pillow of adulation to dream of the child you were, the one staring in the window at the banquet. In your dream you will be cold; and though you pull your blanket around you, you will never find warmth. 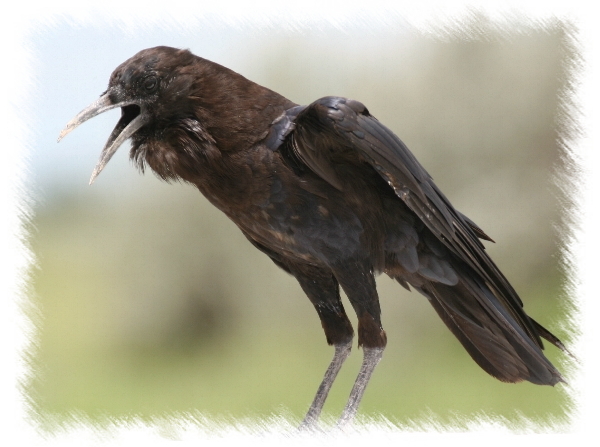 Hunger will be a crow in your belly with your heart in its beak. The dream will last a lifetime. When you awake, pretend you are still the golden child you saw inside the window. Again you break my heart. Thanks for reading, RAB. I thought it was a good picture of a crow. Thank you so much. I have decided not to participate in more awards, even though I feel honored by your nomination. You are most welcome, have a lovely day! Are you awake or dreaming? You have become the golden child. If writing is dreaming on paper, I’m not sure if I am awake or dreaming. This line amazes me: Hunger will be a crow in your belly with your heart in its beak. There is a rawness in the tone of this piece that I love. Well done. Thank you, Courtenay. Some days are rawer than others. this is haunting, and echoes a deep sadness, and yet, it also simply paints a picture. As you know, there are so many different kinds of hunger. Thanks for the invite; I look forward to reading your work again. Wow that’s haunting – I mean that in a very good way. I appreciate your comment, JAA. “It’s life’s illusions I recall. I really don’t know life, at all” From the song “Both Sides Now” written by Joni MItchell and sung beautifully by Judy Collins, came immediately to mind, from your superb post. Very nice indeed. I’m glad you liked this piece of writing. I have often felt my loneliest in a crowd of people. Never in a crowd of crows.